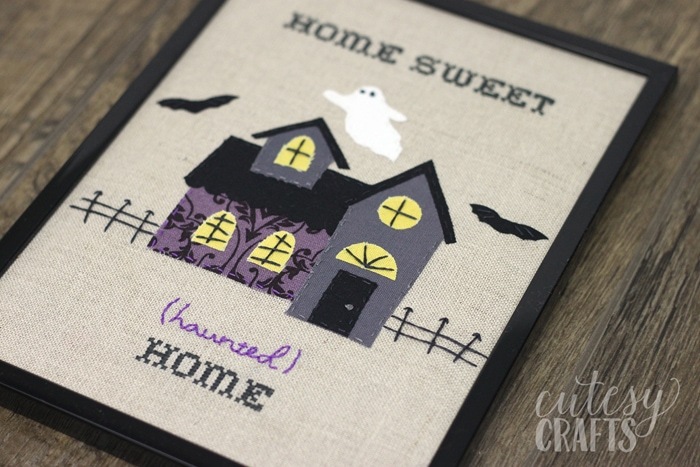 I made this cute camper embroidery hoop last year, and I thought it would be really fun to make a haunted house Halloween embroidery to add to my decorations. I love making things like this to add details to my holiday decor. I think I’ll also make some little potion bottles to put next to it. So fun! 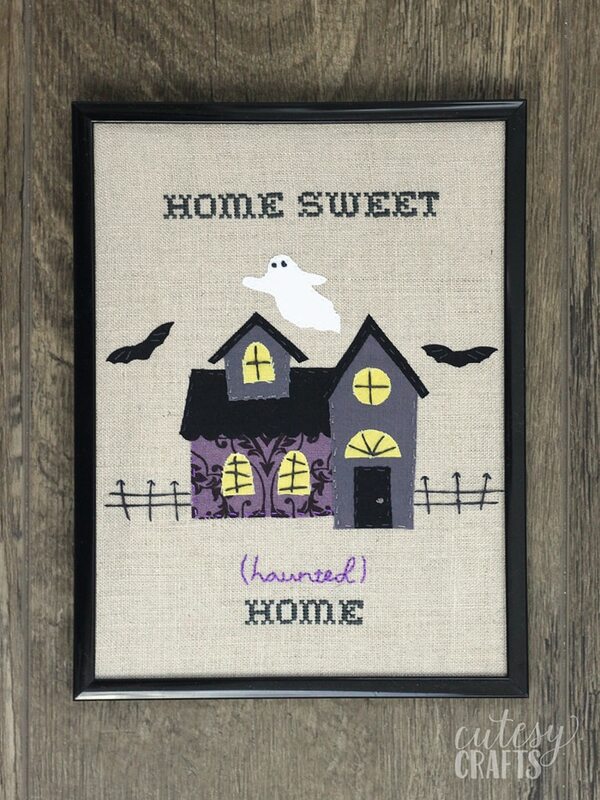 Start by cross-stitching the words “home sweet” across the top, with two strands of embroidery floss. 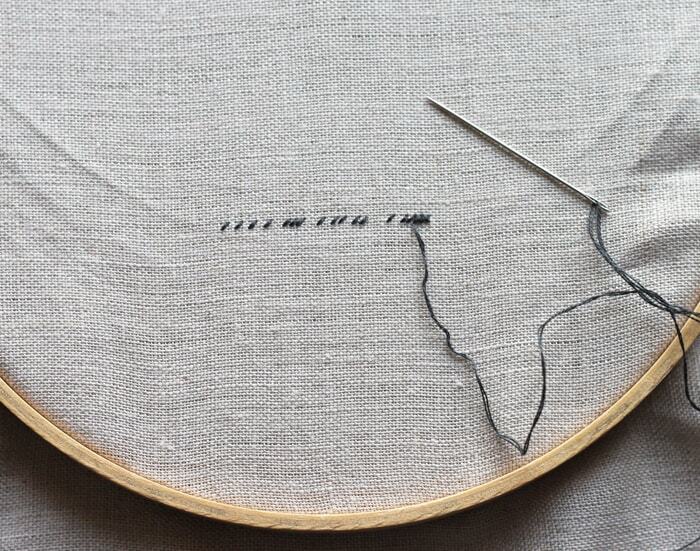 Cross-stitching on linen can be difficult for beginners. 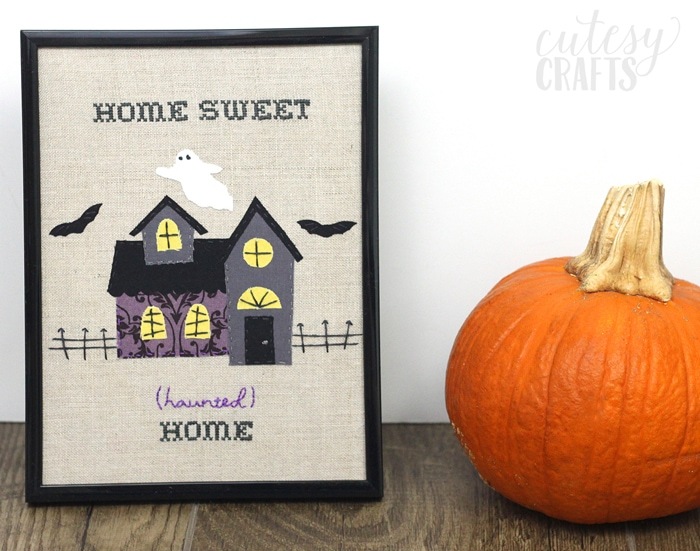 If you have never done it before, or have poor eyesight, you might want to try using Aida cloth for this project instead. 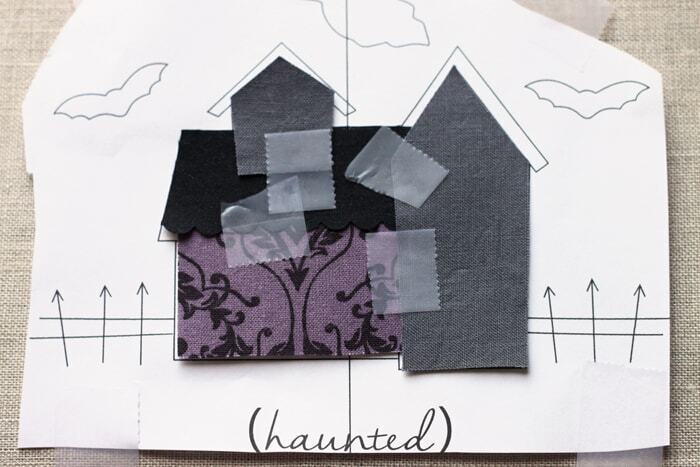 Cut out your pattern and tape it onto your fabric. This will will help you figure out where to cross-stitch the bottom word. 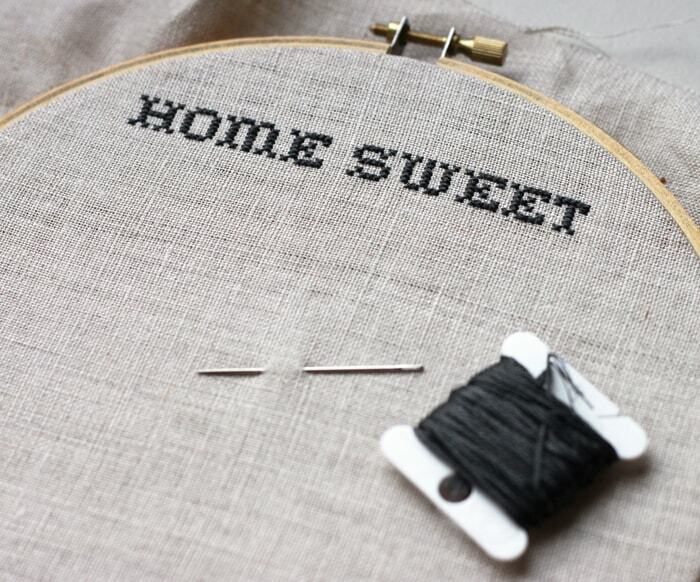 Line everything up and cross-stitch the word “home”. 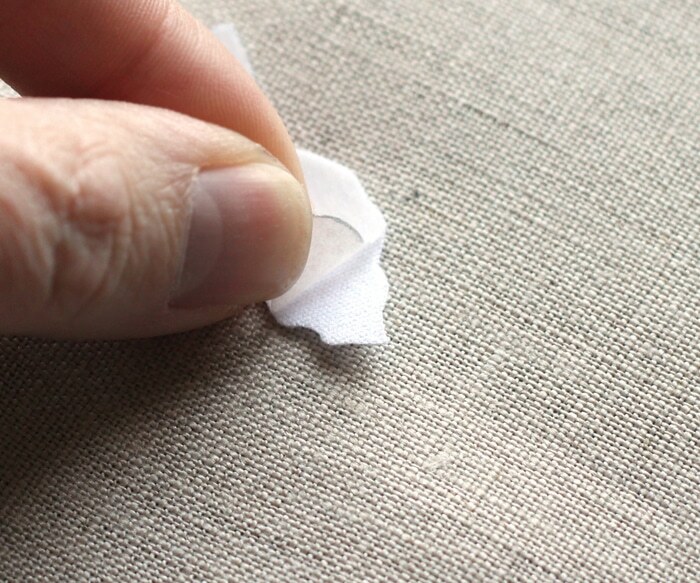 Peel the paper backing off the interfacing. To help me line up all of the house pieces, I placed them on top of the pattern and used small pieces of tape to hold them together. 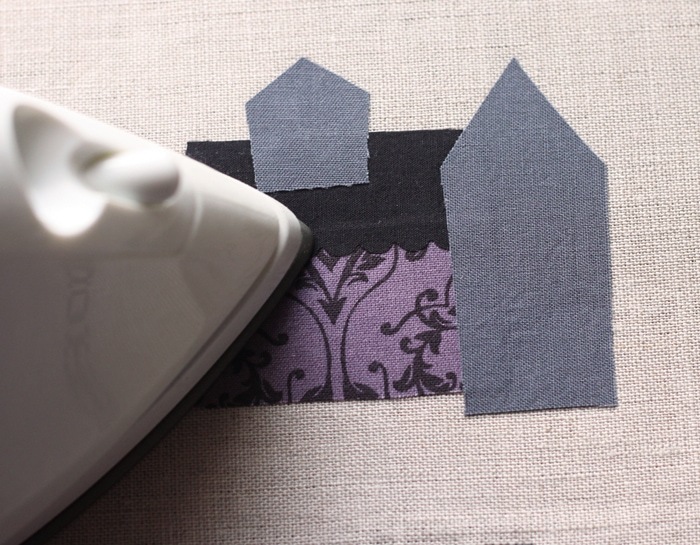 Place the house on top of the linen fabric and iron the edges. 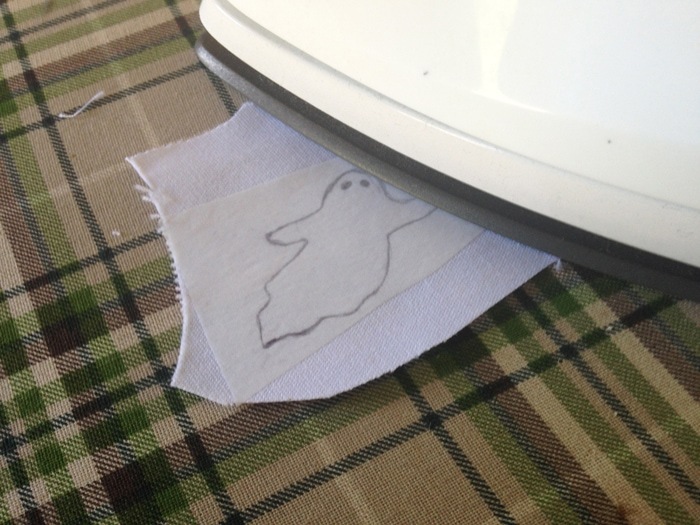 Try not to iron over the tape. Once the edges are secure, remove the tape and iron over the entire house. Iron on the rest of the pieces. If you need help figuring out how to applique, check out my video here. Transfer the embroidery designs onto the linen using dressmaker’s carbon paper or whichever method you prefer. 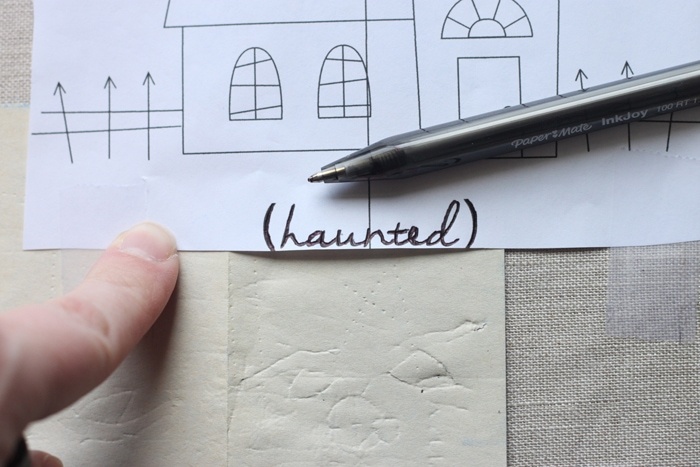 To use the carbon paper, sandwich it in between the pattern and your project and trace over it. The design will transfer so you can embroider over it. 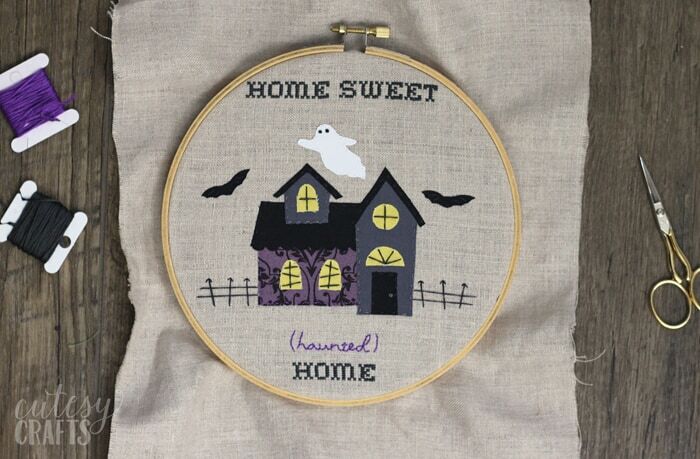 Stitch around all of your applique pieces with a running stitch and one strand of embroidery floss. For the windows, I just stitched the detail on and didn’t worry about stitching around the entire shape. Now you can leave it in the hoop or put it in a frame like I did. Either way, it’s really cute! 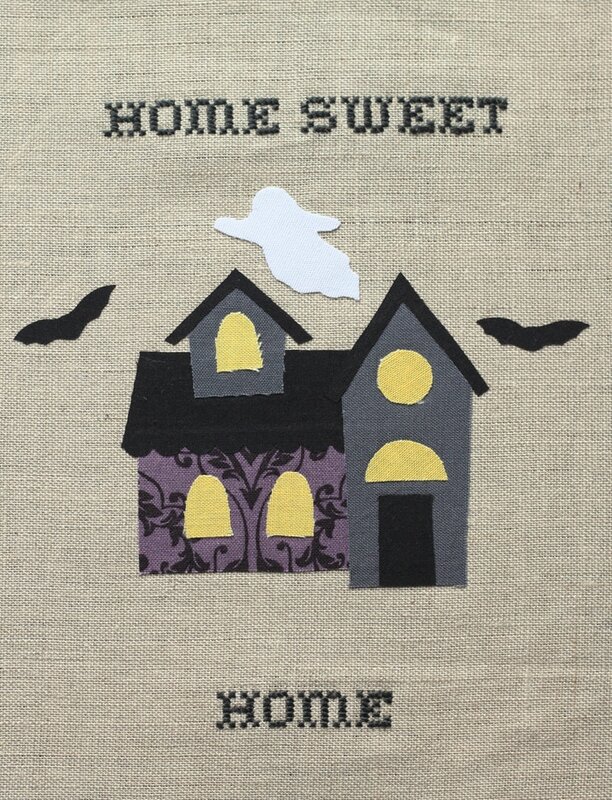 Hope you liked this Halloween embroidery. 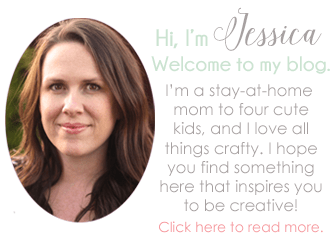 For more hand embroidery designs, check out this page. 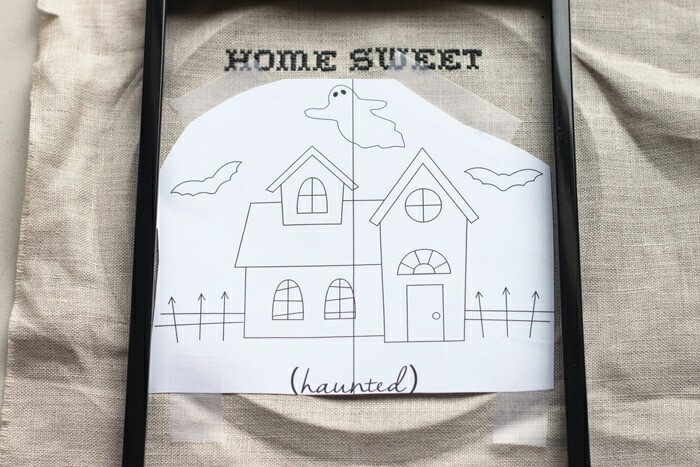 Go here for more Halloween crafts.